As the cannabis industry grows, businesses at every level are participating in mergers and acquisitions, despite regulatory hurdles. Some of the biggest players in cannabis are continuing to consolidate their holdings, while smaller operations and entrepreneurs are also seeking a way forward. 2018 saw massive expansion in the cannabis industry, led by both U.S. and Canadian industry frontrunners such as Cronos Group, MedMen, and Aurora Cannabis. Canada’s Aurora Cannabis is now the largest producer of cannabis following its acquisitions of CanniMed and MedReleaf in 2018, as well as funding construction projects to expand production facilities. Aurora is one of many companies funding consolidation and infrastructure development projects by raising funds from investors through publicly traded securities and bought-deal offerings. Aurora became one of the first cannabis companies listed on a stock exchange after completing a reverse takeover to join the Canadian Securities Exchange (CSE) in 2014 and started trading on the Toronto Stock Exchange (TSX) in 2017 before having its shares listed on the New York Stock Exchange (NYSE) in October 2018. Canadian firms like Aurora Cannabis that do not have cannabis assets within the U.S. are able to list on the TSX and NYSE – both of which have restrictions against listing cannabis companies operating in the U.S. for as long marijuana remains federally illegal. Meanwhile, cannabis companies with U.S. operations such as MedMen have been listing on the more receptive CSE which does not restrict firms with U.S. operations. In a world where traditional financing methods remain scarce, the reverse takeover model (RTO) has been a popular vehicle for both Canadian and U.S. cannabis companies looking to tap into public markets to raise capital. A reverse takeover is an attractive alternative to an initial public offering (IPO) because it allows a private company to bypass the lengthy and complex process of going public by taking control of and merging with a dormant company that is already publicly traded. MedMen is one of several U.S. based companies now listed on the CSE following a reverse takeover last May. MedMen’s CSE listing was the company’s quickest route to access liquid capital– a move that has inspired droves of U.S. firms to seek out reverse takeover deals as a way to raise money. MedMen was steady in its efforts to raise money and consolidate throughout 2018, entering into a $120 million bought-deal financing and making the largest ever U.S. cannabis acquisition when it purchased medical-marijuana retailer PharmaCann in a $682 million all-stock transaction that gave the firm access to 79 retail and cultivation licenses in 12 states. The acquisition of PharmaCann effectively doubled MedMen’s footprint, now the largest U.S. cannabis company. Bought-deal financings occur when a company sells common stock, convertible debt, stock options, and/or warrants to an investor or group of investors to raise cash. 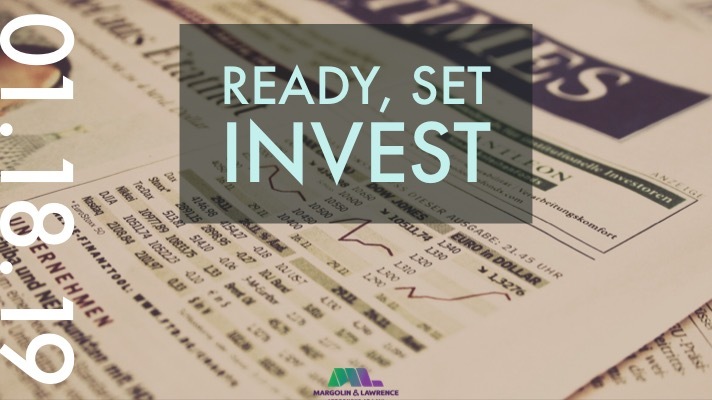 Stock options, warrants and convertible debt allow an investor to purchase shares for a certain price at a later date. For instance, MedMen’s $120 million bought-deal financing deal saw the Company sell Units comprised of Class B Shares and Class B Share Purchase Warrants. Each warrant entitles the holder of such warrant to purchase one Class B Share for $10.00 for a period of three (3) years following the deal’s closing. MedMen’s expansion sees no signs of stopping in 2019. Just this month, the company announced a new plan to raise capital by spinning its real estate out into a newly formed Real Estate Investment Trust (REIT) created in partnership with Venice, CA investment firm Stable Road Capital. The REIT has raised $133 million dollars to purchase cannabis real estate owned by MedMen and others. The REIT will then lease back retail stores, production and cultivation facilities to MedMen who will use sale proceeds for funding the company’s continued growth. In addition to mergers and acquisitions, we are seeing partnerships and joint ventures between companies such as Canadian cannabis producer Cronos Group, Inc. (Cronos) and MedMen. The two companies intend to form a jointly-owned third company (MedMen Canada Inc.) to bring Cronos cannabis to Canada’s retail market via MedMen branded stores. Last month, Cronos announced that it has entered into a subscription agreement with Altria Group, Inc. pursuant to which Altria will make a $2.4 billion equity investment in exchange for common shares and warrants, resulting in Altria holding a 45% ownership interest and a total potential ownership position of 55% dependent on exercise of the warrants. Marlboro maker parent Altria’s investment in Cronos marks the dawn of big business entering the cannabis space in 2018. With so many mergers and acquisitions, both at home and abroad, there is much conjecture about which “pot stocks,” if any, are an investor’s best bet going into 2019. U.S. federal illegality has created an interesting situation where cannabis companies with U.S. based operations cannot list on NASDAQ so instead list on the CSE. Conversely, Cannabis companies with Canada based operations are able to list on the TSX and NASDAQ. Therefore, companies like MedMen have the advantage of developing operations in both countries and still list on the CSE, despite not having access to mainstream securities exchanges. While companies like Cronos and Aurora have the advantage of listing on the TSX and NASDAQ, they cannot expand operations into the U.S. – where consumer spending on legal cannabis is expected to climb to nearly $21 billion by 2021 as compared to only $4.5 billion in Canada. A general criticism applicable to pot stocks using bought-deal financing to fuel growth is that the continued issuance of new stock, convertible debt, stock options and warrants can result in long-lasting share dilution. Shares are diluted when outstanding share counts balloon leading to a substantial reduction in per-share profit. The impact of dilution isn’t always immediate since convertible debt, stock options and warrants can build up for years, leading to unanticipated increases in share counts down the road. However, until access to non-dilutive forms of financing and basic banking services for cannabis companies becomes readily available, bought-deal offerings will continue as the preferred method for raising capital. Meanwhile, smaller industry players and hopeful investors are jockeying for position at the local level, focused on securing licenses, building out facilities, expanding operations and developing brands - presumably in a bid to position themselves as acquisition or partner targets for larger groups like MedMen. Like most jurisdictions throughout California, the City of Los Angeles is still in the process of reviewing commercial cannabis license applications for cultivation, manufacturing, distribution and retail operations within the City. Many of the applicants are persons and pre-existing businesses already in operation, having been “grandfathered” in and protected as part of LA’s Social Equity Program which also mandates priority consideration in favor of applicants who meet certain criteria. Investors are chomping at the bit to acquire existing cannabis businesses and take advantage of the priority consideration afforded to social equity applicants in Los Angeles. Likewise, applicant-operators and social equity applicants are enthusiastic about the prospect of cashing in on their advantageous position. However, investors and applicants face challenging regulatory hurdles because applicants (even those already in operation) are just that – applicants. So long as an application for licensure is pending at the local or state level, there is no “asset” to transfer because no license has issued. The local authorizations and state temporary licenses issued by licensing authorities are not “transferable” and neither is any pending application or the right to pursue licensure as a social equity candidate. Despite these roadblocks, investors, applicant operators and social equity candidates are looking to negotiate pre-licensing agreements to bring investor capital and management support to ‘authorized’ operations, as well as financial and business development support while applicants await final licensure and until those licenses become transferable. Furthermore, LA’s Social Equity Program mandates that some social equity candidates are required to retain certain ownership percentages in a licensee business. While these regulations are intended to protect the interests of social equity candidates, practical business considerations related to capital contributions and operating capital are more likely to dictate profit distributions among investors and social equity owners in a licensee business. Further, such regulations could inhibit social equity candidates from selling their ownership stake in a business license. Until permanent licenses are issued and become transferable, investors and applicants negotiating pre-licensing deals will need to exercise high-risk tolerance and accept that all parties will be obligated to participate in the business and license application process until the licenses become transferable assets. Peculiarities associated with license transferability issues are giving rise to various work-around solutions and complex deal structures emphasizing the rights and obligations of investors and applicants during the period of non-transferability. For instance, in the case of an investor who desires to purchase the assets and pending license of an applicant-operator’s business, a deal may involve an initial ‘closing’ and the parties’ execution of ancillary agreements setting forth terms associated with transferring the license at a later date. Such ancillary agreements generally require an applicant to continue directing business operations, as well as remain engaged in prosecution of license applications. The applicant is then required to cooperate in transferring permanent license(s) once they become transferable. Obligations of the investor(s) include financial and management obligations during the interim period between the closing and ultimate transfer of the license. One tricky issue to deal with is how payments are made to managing parties. Such payments must be reasonably related to the work being performed and any payments based on a percentage of profits must be disclosed to both local and state authorities. Furthermore, only an applicant/licensee can direct or control the licensed activity and therefore must remain in charge of business operations pending transfer of the license(s). Not only is the enforceability of these agreements questionable, but they also require investors and applicants to perform obligations and remain “in bed” with one another for an indeterminable amount of time. Despite inherent risks, investors are more than willing to engage in pre-licensing deals as a way to get in at the ground floor in California – the world’s largest cannabis market.